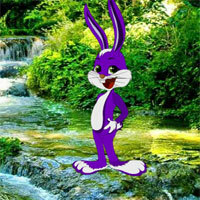 Games2Rule - Easter Bunny Forest Rescue Escape is another point and click live escape game from games2rule In this game, you came to celebrate the Easter holidays in a forest which is located outer of the city. But unfortunately, you noticed that someone trapped a female bunny there. You have to find the way to rescue the female bunny from there by finding useful objects, hints and solving puzzle. Click on the objects to interact with them and solve puzzles. Good Luck Have Fun! Very cute, straightforward game. Thanks G2R. Rather easy. Doesn't need step-by=step solutions. I am missing one yellow egg for first set of scenes. I need the step by step thanks Dazz. I am stuck in first set of scenes. Got stuck and checked out the walkthrough. Turns out my pickaxe disappeared after using it on the green meteor, and I was unable to open the box with it later. I get the warning that your game is trying to load unsecure script and is blocked - it never hapend before what is new ?